One of the best ways to keep your business at the forefront of the competition is to stay tuned to the latest industry trends. Every year the e-learning domain witnesses a rise of new trends which if integrated can enhance your platform. 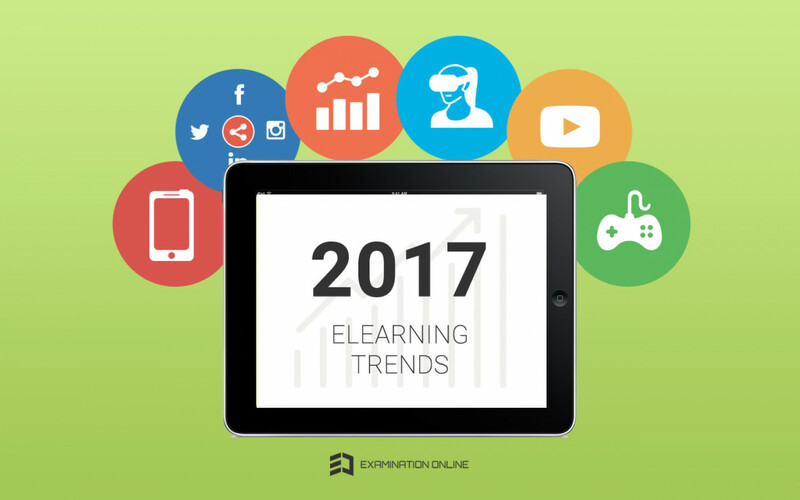 With the onset of 2017, it’s time to look at what to expect in e-learning and create a suitable solution for learners. The video is a powerful way to reach a learner’s attention, it involves more senses in learning. It is an unconscious trigger which leads to better retention with more senses being involved. The use of video content over the internet has increased over past few years. According to Cisco VNI Forecast and Methodology 2015-2020, the video will be responsible for 80% of internet traffic around the globe. Expect an increasing number of users to share video content in the time to come. You can now integrate video platform and drop clips from various sites like YouTube and Vimeo to enable learners’ engagement and retention. In 2017, expect more video sharing activities, and live video streaming. Data help shape learners’ experience. It offers a smart way to capture learning behavior and preferences. The data can help evaluate e-learning program’s strengths and weaknesses over a period. For instance, Examination Online custom solution allows you to view analytics and assess where you need to improve your e-learning content. The evaluation, in turn, can assess the gaps of a learning program and help meet learner as well as company expectations. Analytics pave the way to create rich learner-based learning. In 2017, expect data analysis to play an important role in the development of adaptive e-learning. Elearning content these days comprise elements of games like points, badges, and competition. Gamification is a proven technique which can generate great results and is no longer a new phenomenon in the e-learning domain. It is expected that 2017 will witness a fair share of gamification and it will continue to rise in the e-Learning industry. According to a report by Docebo, the Global Gamification Market is estimated to reach $7.3 billion by 2021. Organizations shall invest more in creating gamified learning content to enhance workforce productivity in the time to come. Technologies like Augmented Reality (AR)and Virtual Reality (VR) are all set to bring in the significant change in the way people learn in 2017. AR and VR offer real-life settings through simulated and virtual environments to bring immense learning experiences. Augmented learning and virtual reality are all set to be one of the most sought learning and development strategies. And many businesses are yet to tap into the potential of AR and VR. Virtual Reality: VR offers simulated or virtual 3D environment that helps users practice beforehand (for instance Flight Simulators). All you need is VR devices like Oculus and Samsung Gear VR to access the virtual world. Augmented Reality: Augmented Reality simulates computer generated objects in the real environment and enables learners to interact with it. Pokemon Go is an illustrious example in this case. m-learning has been playing a leading role in e-learning industry for quite some time now. With shorter attention spans of new age learners, bite-sized online courses are going to be the order of the day. Short-nuggets of courseware are an ideal fit for learners with low attention span. The learner can access course modules on mobile devices and gain just-in-time support. It is anticipated that 5-10 minute e-learning nugget of course module will be the dominant trend in the new year. The instructors shall chunk courseware to create bite-sized modules. The year 2017 holds the potential to be one of the most disruptive years in several industry domains including e-learning. Theses trends can help you devise the right e-learning strategy for your business. Watch this space for more on e-learning developments. Looking forward to a learning solution which can keep you ahead of the curve? Contact us.